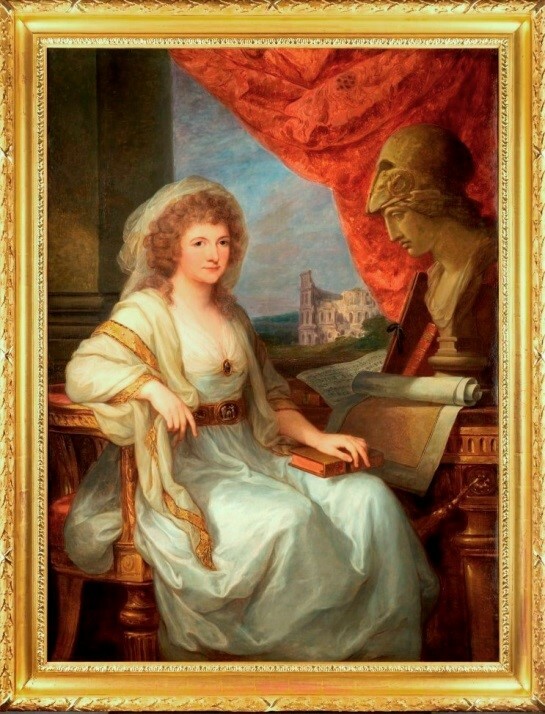 In 2014, the portrait of Anna Amalia, Duchess of Saxony-Weimar-Eisenach, returned to Weimar. In the end of World War II it has been lost in Poland. When the painting was offered on the London art market in 2011, the auction house Sotheby’s first came in contact with the AKRP. Afterwards in May 2011 the Klassik Stiftung Weimar was informed. Lengthy negotiations finally led to a happy ending. The painting now hangs at its original location in the Roman House in Weimar on permanent loan. During her Grand Tour to Italy, the Duchess lived in friendly relationship with Angelica Kauffman in Rome. From October 1788 onwards the Duchess was painted by the artist. The AKRP Team has studied the image technologically and collected interesting details.